Page 19: What’s with the lettering here? It suddenly got really small. And doesn’t Saki’s hair look like it’s in a ponytail? But obviously it’s not. 21: HOW?! JUST BECAUSE YOU KNOW OUR FAMILY’S SECRET DOESN’T MEAN YOU SHOULD KNOW MINE!! 22: Rin just burns Tohru. 27: So Saki’s hair is in a ponytail? The second panel on 19 sure didn’t look like it. 31: You’re ducking. I’m ducking. “Ducking” just doesn’t sound right. “Duck!” works well, and so does “he ducked under the desk”, but “ducking” is weird. Especially “ducking under”. 36: Kureno on the brink of tears. 42: Told you Tohru is a Disney princess. 50: Good think Arisa isn’t around. 57: Kureno and Arisa taking care of the “fast romance” quota for Fruits Basket. 66-67: Akito trying to gain some sympathy from the readers. 70: Shigure obviously not happy with Kureno’s choice. 72: It’s panels like this that reminds me why we should all support the singular “they”. “He broke”, “that girl”–quick change. 74: Finally, Akito’s secret is revealed. 76: Umm…no comment on this picture. 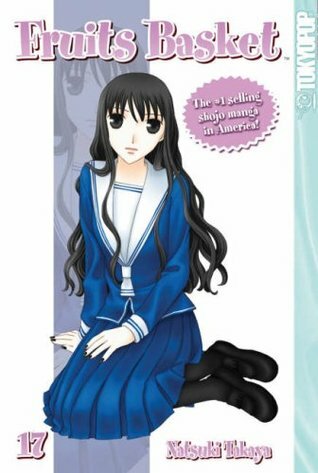 80-82: Seriously, I think bad parents are more the norm in the world of Fruits Basket. Hiro’s and Saki’s mothers are the exception. 85: Ren spouting the truth. 88: I think this is referring to the belief that you can’t go to Heaven if you commit suicide. 95: Takaya trying to create a new antagonist to replace the sympathetic one. 100: Rin’s eyes really make her look as if she’s from another manga. 103: This reminds me of the second opening from the Valkyria Chronicles anime: “Kanashimi Rensa” (“Sadness Chain”). 107: Cool entrance, cool pose. 111: Everyone should just threaten Shigure with Yuki’s cooking. 116-117: Here’s my problem with Tohru: she’s almost too traumatized by this. 120: Random Tohru x Kyo moment. 126: Megumi is the smartest one in the room. 127: I didn’t remember Megumi being this hilarious. 129: But now he looks like a dark-haired Momiji. 134: Yuki honestly looks depressed. 144: Machi staring after Yuki. 145: Well, wasn’t expecting this guy. 146: I actually thought he already graduated…guess I need to pay more attention. 149: They should have just stolen Yuki’s second button and made it the club’s treasure. 151: Let’s just have a club war chapter. 152: Everyone knows Black Mages can be really OP’d. 153: They should have made him help so everyone could stare at his beauty while surrounded by flowers. Girls gotta think outside the box. 163: Kyonkichi is a meanie! 169: Just realized Tokyopop reversed the last two digits of the page number for this chapter in the table of contents. They put it as “196” instead of “169”. 170-172: Shigure x Akito flashback. 177: Here’s someone we haven’t seen in a long time. 179: Everyone’s surprised by this. 181: Shigure is an S.
190: Already hinted at when it showed a picture of them kissing. 197: Nobody believes Rin has a friend. Imagine if they learned she had a boyfriend. 216-217: This is impressive. Wow. Amazing job. So maybe Fruits Basket really isn’t Tohru and Kyo’s story; it’s Shigure and Akito’s. Both basically drag everyone else into their lives and problems, and everyone is forced along for the ride. Akito can’t fully accept being a man, and Shigure is just as unforgiving — if not more than — Akito. Kureno is confirmed to be free from the curse, Akito is a girl, Ren is introduced, and Shigure is confirmed to only care about Akito. A lot is revealed in this volume, but not much is actually done. Shigure sleeps with Akito, but he notes he’s still waiting. Tohru just basically acts depressed throughout the volume, and Kyo doesn’t do much outside of hanging around Tohru. Yuki x Machi takes a step forward. So a lot is set up for the final stretch. Bad parents are common in anime/manga. There are so many series were kids live by themselves.